BMW's X5 is one of the cars affected by the timing chain problem. BMW has settled a civil action this week in a batch of cases brought over a serious design fault in a range of their cars. BMW Automotive (Ireland) Ltd had been ordered to hand over evidence by Dublin District Court in July after an action was brought by three motorists. John McConville from Canal View, Clones Road, Monaghan Town, Co. Monaghan was among the group of motorists who initiated civil proceedings against the motor firm for €8,700 in damages. The problem affected the timing chains on BMW models with N47 engines. 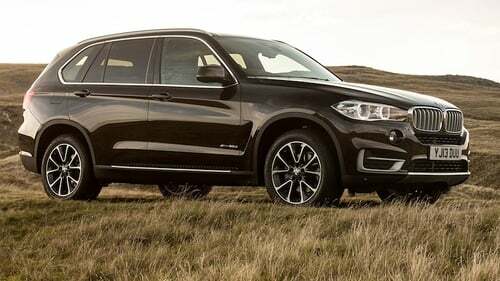 The N47 engine is a 2.0 litre diesel unit fitted to BMW's 1, 3 and 5 Series as well as to SUV's. When a timing chain fails it can cause catastrophic damage to the moving parts in the engine and the necessity to replace the engine. Mr McConville’s action was listed again this week. John O’Regan, counsel BMW Ireland, told Judge Brennan there was on-going disclosure and an affidavit has to be sworn by his client. He said Mr McConville's could be put back for mention to a later date but a separate case brought by another plaintiff had been settled though it was not be struck out yet. Another of the three cases was withdrawn last month. Judge Brennan adjourned Mr McConville's case until November 15 next. In 2011, he bought a 2008-reg BMW X5-series for €42,000. He claims significant damage was caused to his car when travelling on a busy motorway from Limerick to Dublin when the vehicle suddenly lost power. He had to take emergency measures and pull over and wait on the hard shoulder for a tow truck for over an hour in darkness, he claims. He claimed there was a defective engine design that prevented inspection and maintenance of the timing chain and his car needed extensive repairs. It was among the first batch of up to 50 similar cases being prepared by solicitor Dermot McNamara for other motorists affected by the timing chain problems in BMWs with N47 engines, the court had heard. Judge Brennan had ordered BMW to provide evidence about their cars with N47 engines sold in Ireland, as well as repairs carried out, between 2008 and 2014. While he said that this was not a template for the order he would make in the ensuing actions, it was the "gist" of the disclosure order he would be making in the other actions to come.